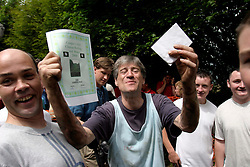 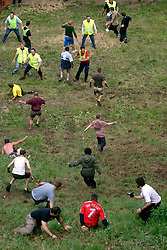 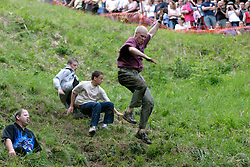 UK ENGLAND COOPERS HILL 31MAY04 - The cheese rolling consists of a 7-pound Cloucester Cheese being thrown down a steep 200-metre slope and contestants throwing themselves down in pursuit of it. 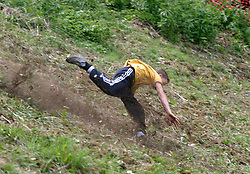 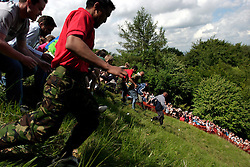 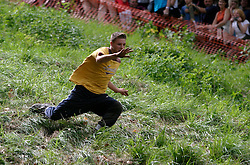 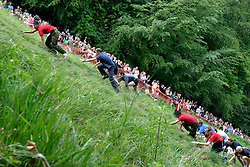 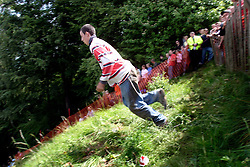 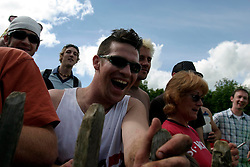 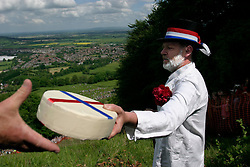 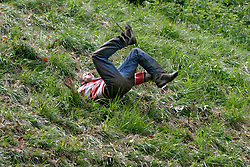 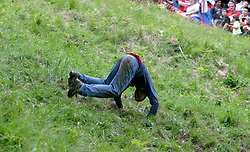 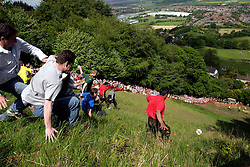 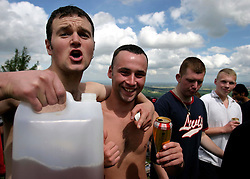 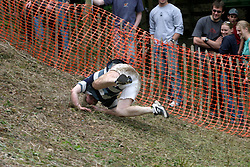 Cheeserolling is one of the oldest English customs to have survived some saying, for hundreds of years, even pre-Roman times. 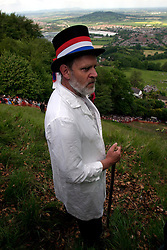 The ceremony is reported to have taken place originally at midsummer and to have been moved to Whitsun in early Saxon times. 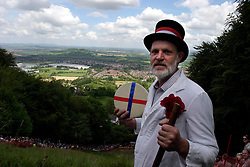 Some say it is a relic of an old heathen festival to celebrate the return of spring and others say, when held in midsummer, it represented the waning of the sun as summer reached its height, but no one knows for sure.